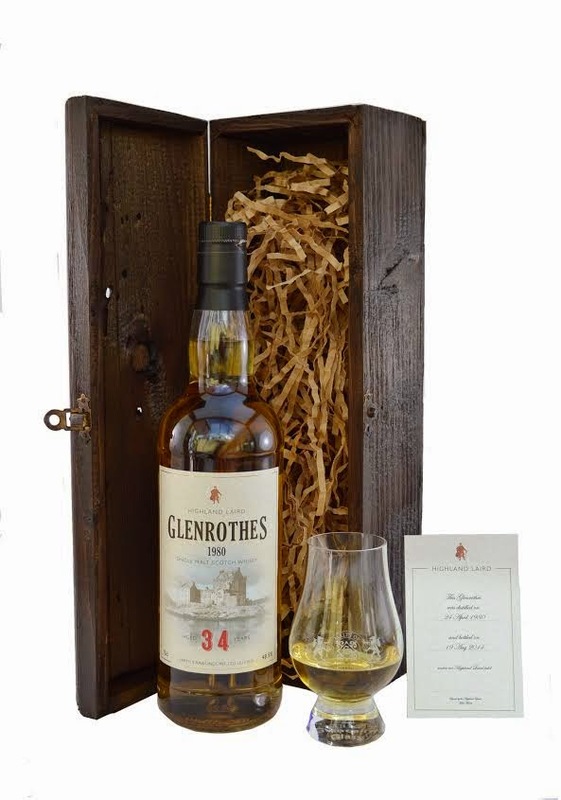 From a Sherry Hogshead comes this 34 year old Glenrothes. Is it from the series Highland Laird from Malts of Scotland. The smell is dry. Tobacco and plums but also spices like black pepper. Please give this time in the glass to develop! After a couple of minutes some fresh fruit appears. The taste is overwhelming at first. So many different impressions. I strangely get some soap notes, but not in the “this ruins my whisky” way. Raisins, toasted oak and the transition from the palate to the finish is so smooth. The sherry notes are dampened and some oak and honey sweetness pampers your mouth. The balance is a bit funny, but the complexity is phenomenal! The taste isn’t quite my favorite, but I know it is quality and I love the finish, complexity and the many things that are going on here! I will rate this 90/100 (22/22/23/23).